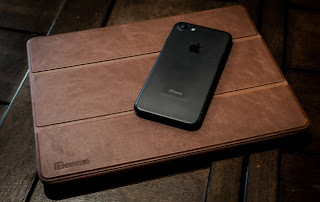 I picked up a new leather folio for my 10.5" iPad Pro. 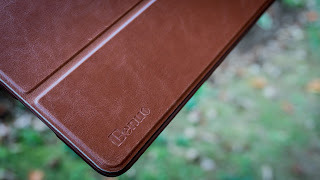 This one is from Benuo, normally it is $52 on Amazon, currently it is on sale for only 25.99 (http://amzn.to/2yqq9R5), so I figured why not?! The case has all the cut-outs for the speakers, microphones, headphone jack, camera/flash, and of course the Lightning connector. 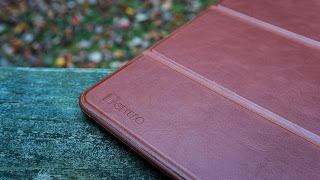 It is made of quality leather on the outside, with a rubber mold to hold the iPad in the case, and a soft inside so it doesn't scratch the iPad while it is in the folio. 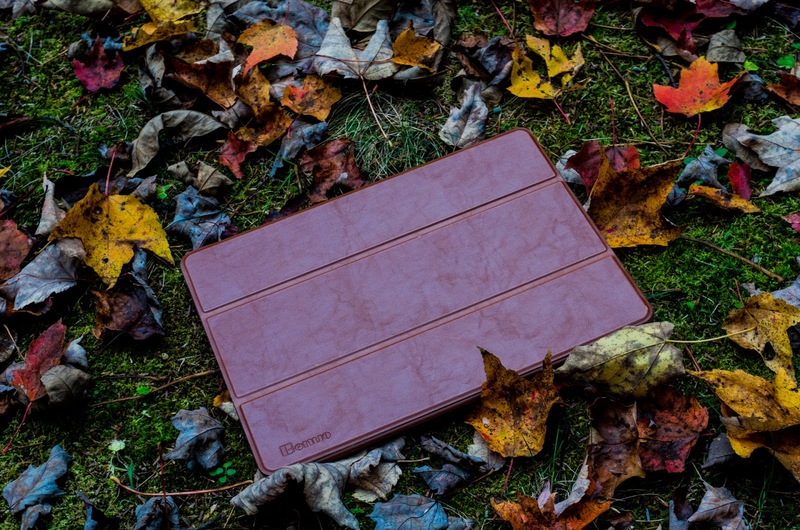 The cover activates the sleep/wake function of the iPad as well. You can fold the front cover back for different viewing angles. Either prop it up to watch videos, or lay it down in "typing mode" while using it on your desk. 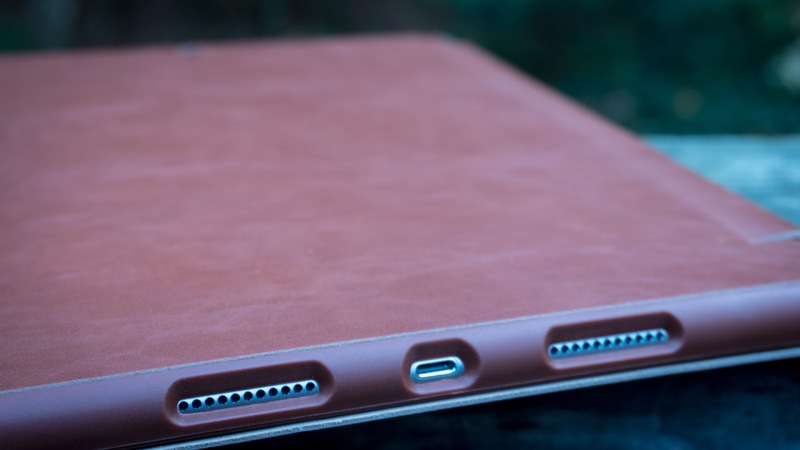 This case also has a slot for the Apple Pencil as well, and the best thing about this Pencil slot is it doesn't stick out on the side of the case, it located on the inside, so when you fold the folio to close it, it feels more natural, almost like the Pencil isn't even there. 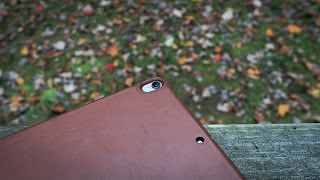 It doesn't add any extra bulk to the iPad, it still feels thin, and light. The case does need to be broken-in for a few days so that the front cover is not so tight when you want to prop it open. 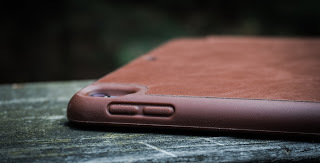 After a few days the case will prop up without issue, and the outside will show those terrific "worn leather" look too. If you are looking for a folio for your iPad Pro, one that also holds the Apple Pencil, this is one I would not have a problem recommending! 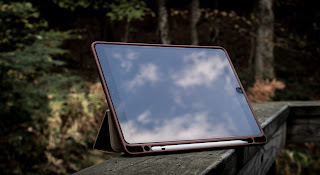 Built-in Apple Pencil Holder: Unlike other Pro cases, Our case features the built-in slot inside for grabbing the Apple Pencil safely and snugly. Never again will you worry it gets lost. 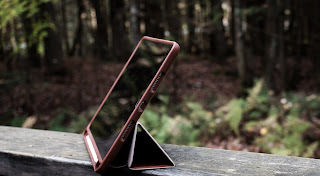 Smart Cover and Stand Feature: Handy auto sleep/wake functionality prevents unnecessary power consumption. Tri-fold cover converts into optimal orientation for reading, videos watching and Face Time. Also supports views for typing and drawing. Rugged Protective Case: Soft microfiber interior and air cushion rubber back holder empowers it to defend your tablet from bumps, accidental impacts, scratches and dust. 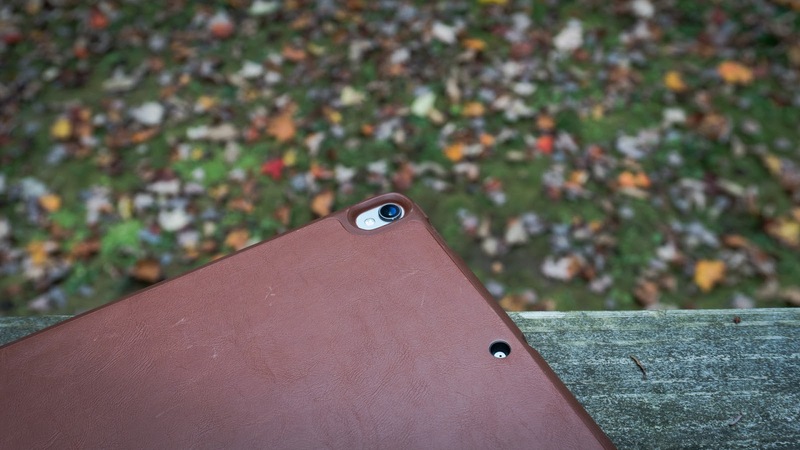 Extend edges protects the raised camera when facing up on the desk. Precise Cutout: Full quick access to camera, flash, speakers, lightning port, earphone jack, microphone ensures you have hassle-free time while using your device.